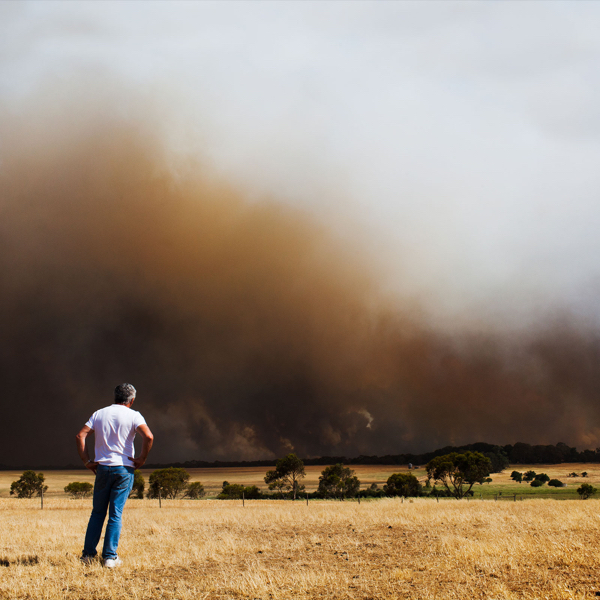 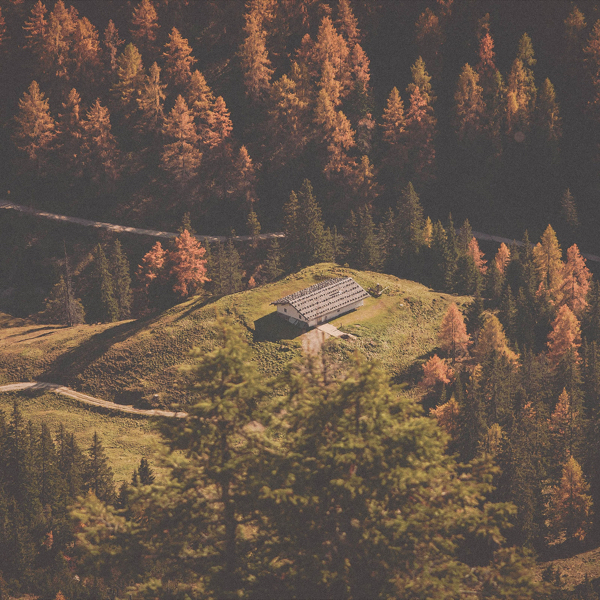 Country Fire Authority is Australia’s longest volunteer service providing and promoting fire safety. 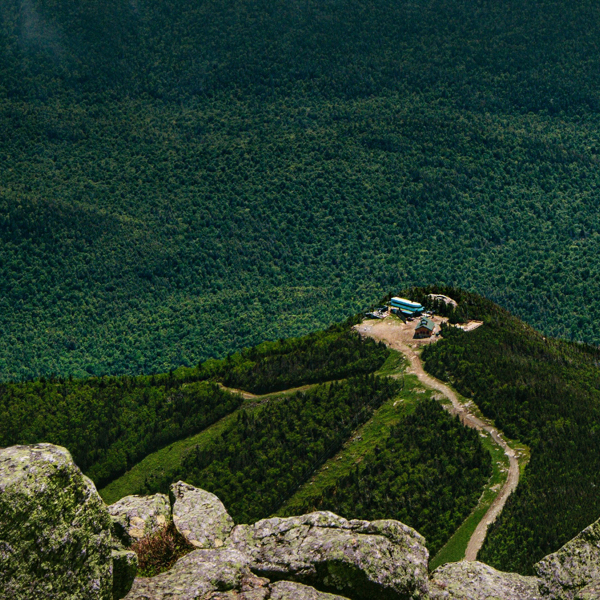 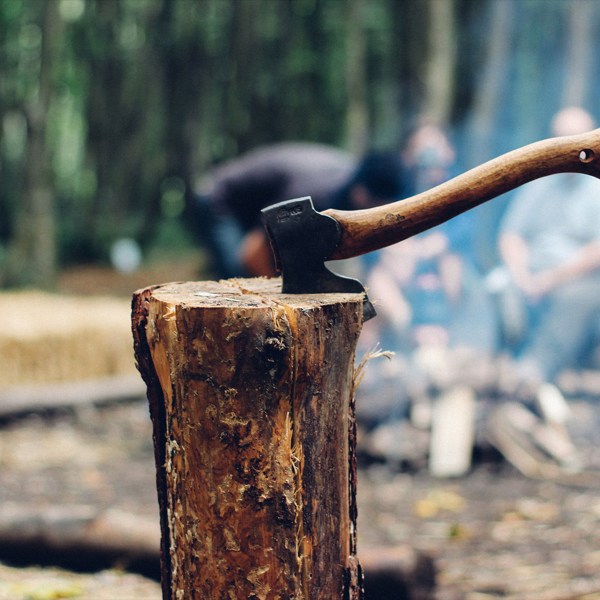 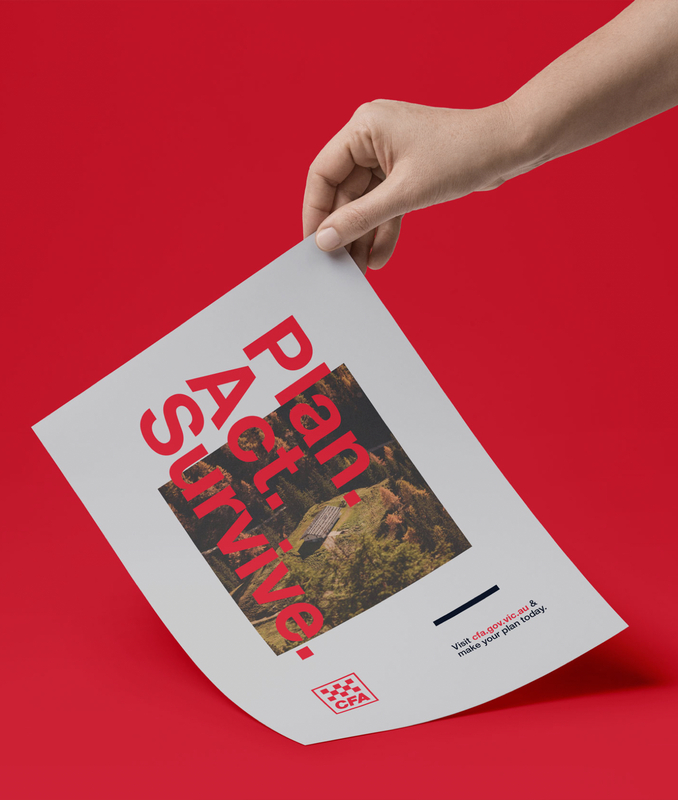 The Bureau helped ignite their brand to an elevated level with brave new thinking. 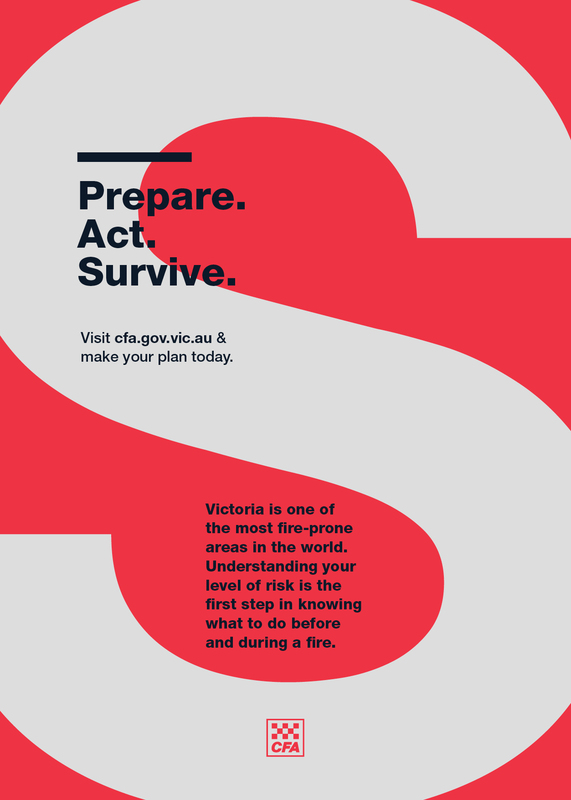 CFA needed a new way of communicating to Australians. 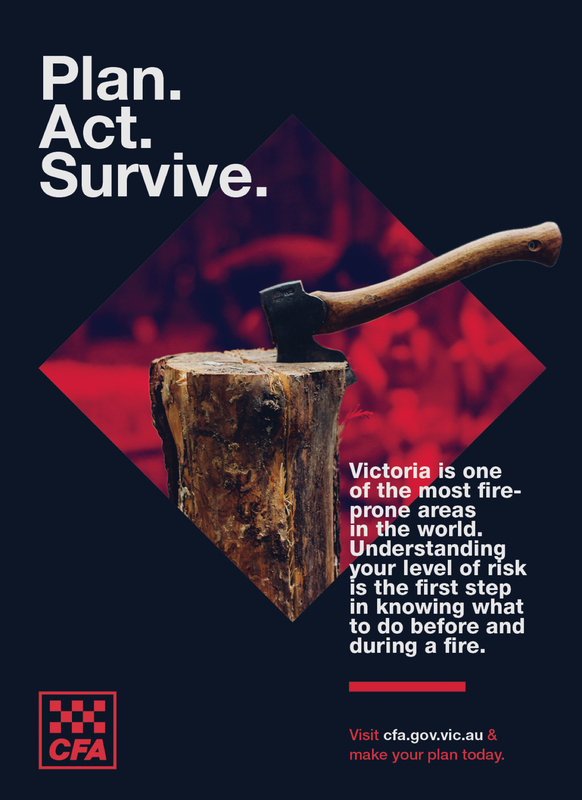 Their message needed to be consistent and on point. 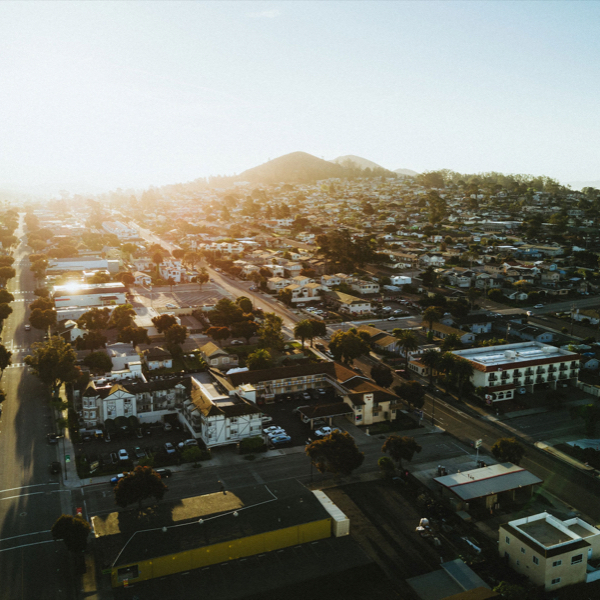 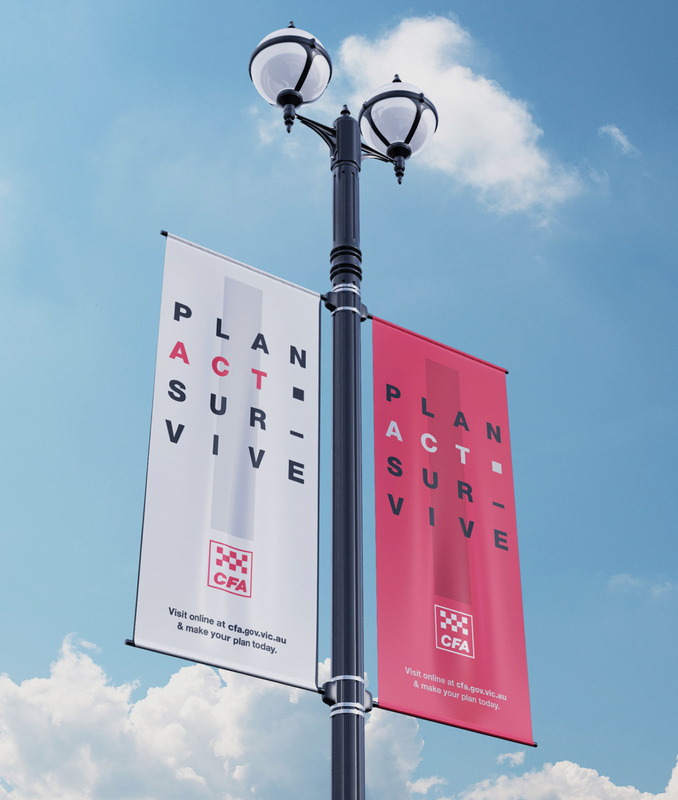 The Bureau helped CFA create their brave new vision, a new system that was relevant to a younger, more diversive audience. 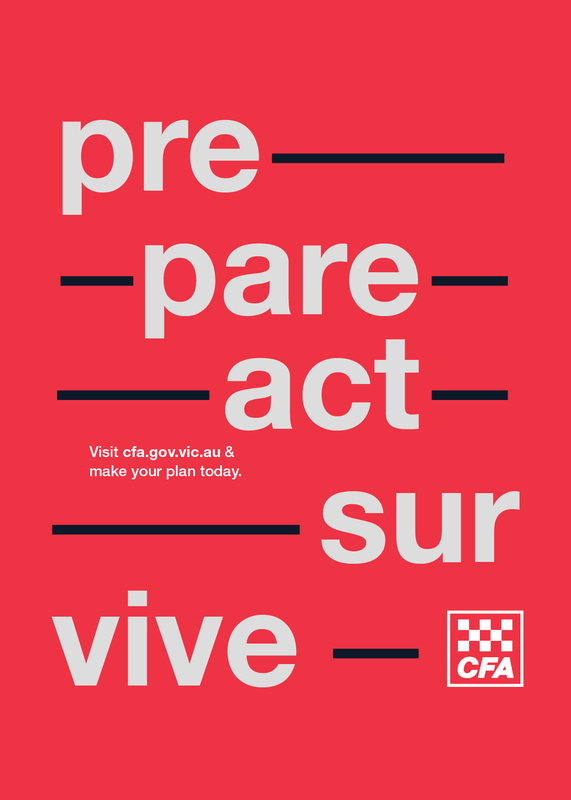 CFA is recognised by their dominance of the colour red to represent danger and warning. 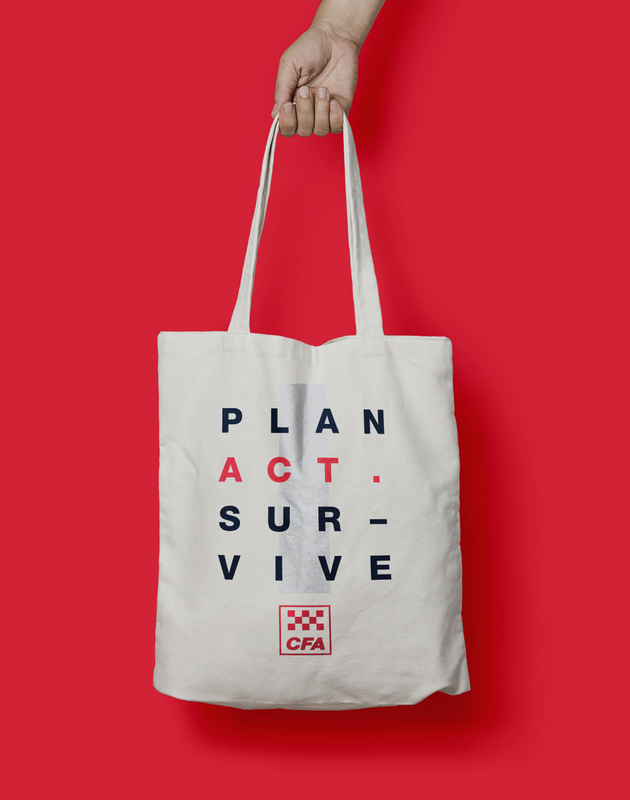 We selected a neutral shade to make the CFA colours become even more recognisable and consistent in both digital and printed mediums. 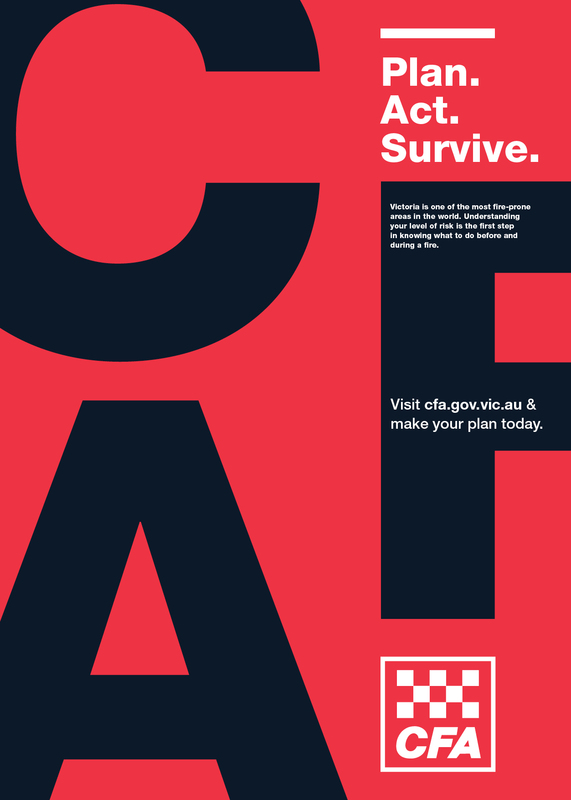 To its core, CFA in an authoritative figure that needed to be taken seriously. 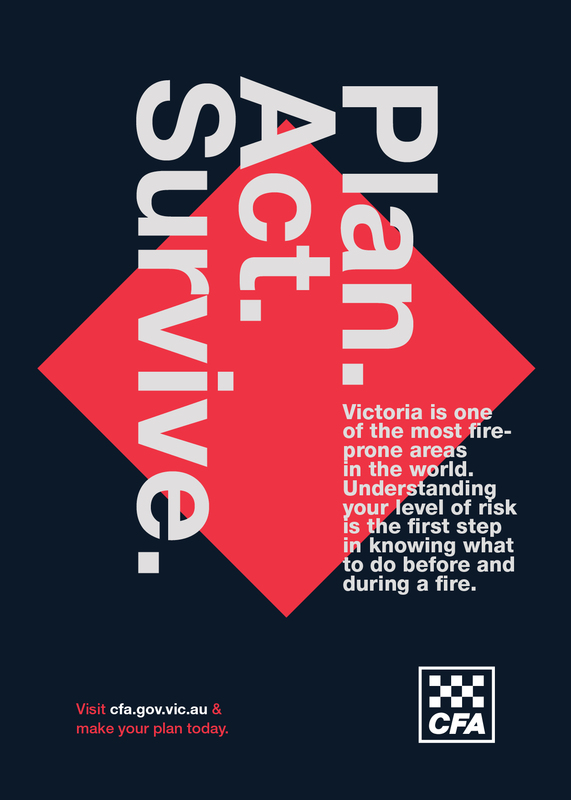 Using Helvetica Neue to support CFA’s new positioning of attention, takes all communication design to a authoritative and influential tone. 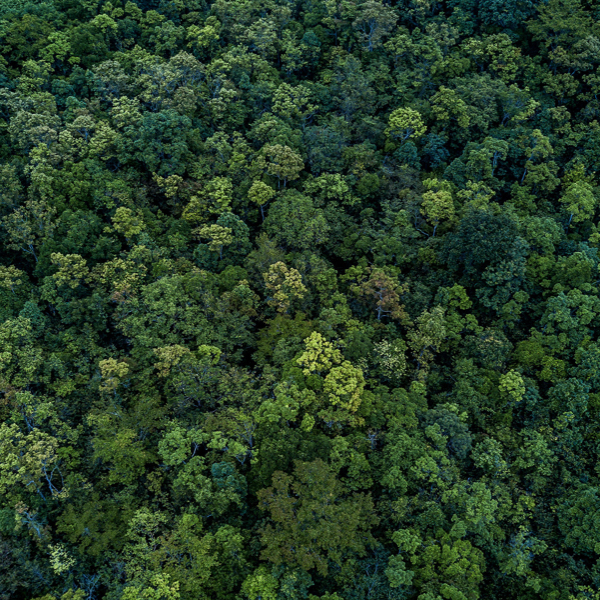 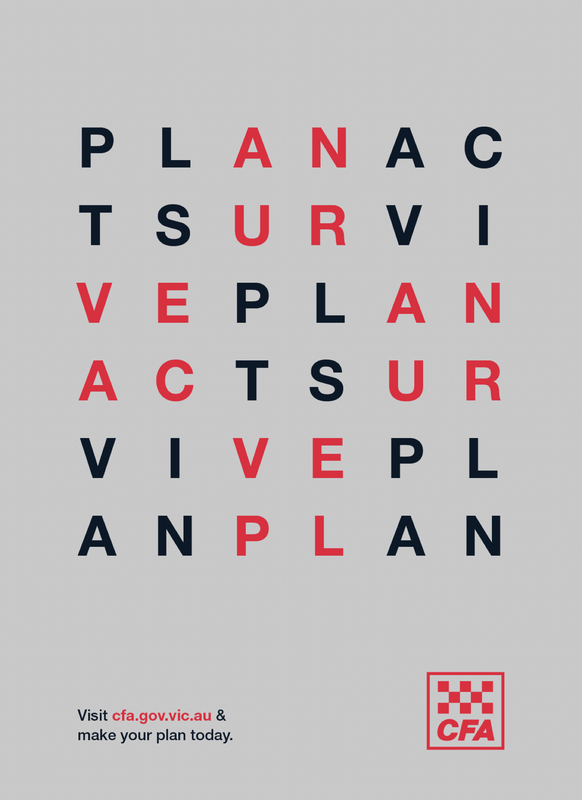 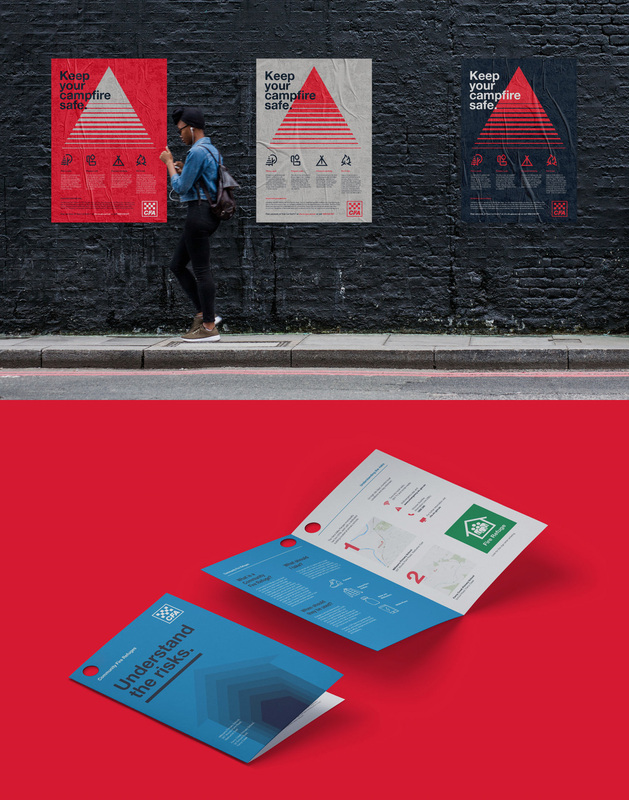 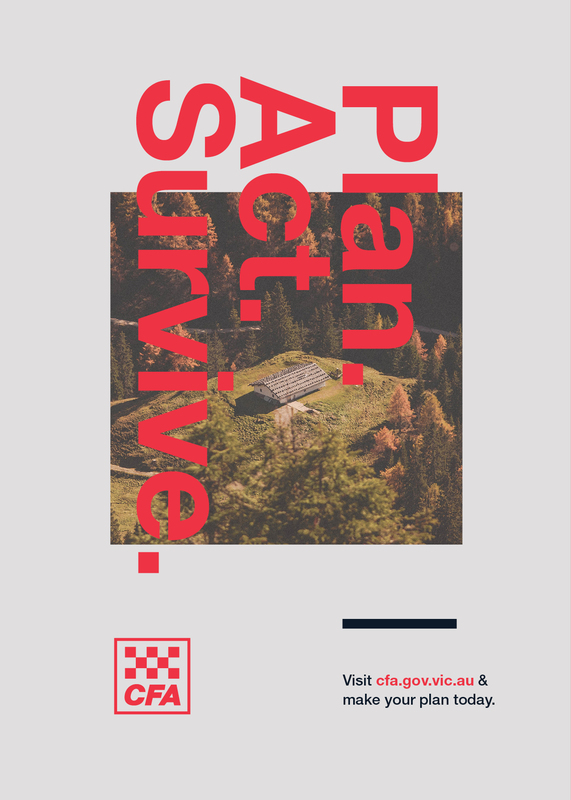 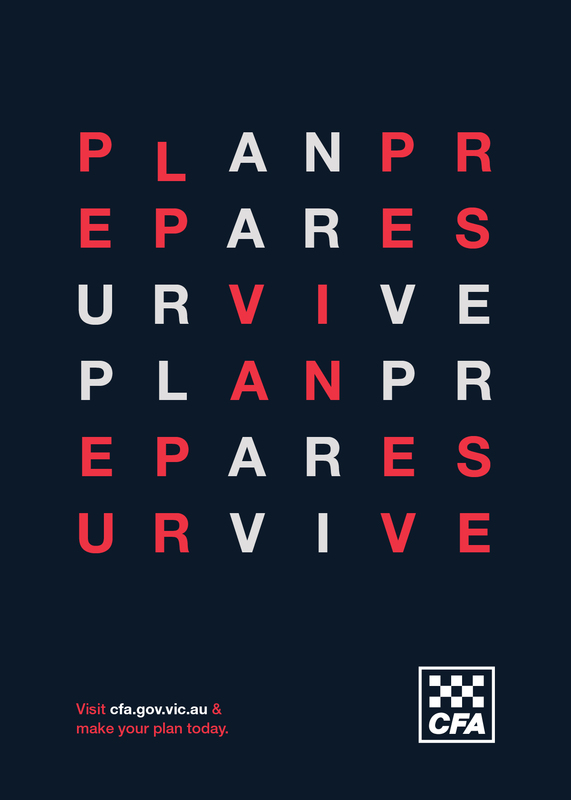 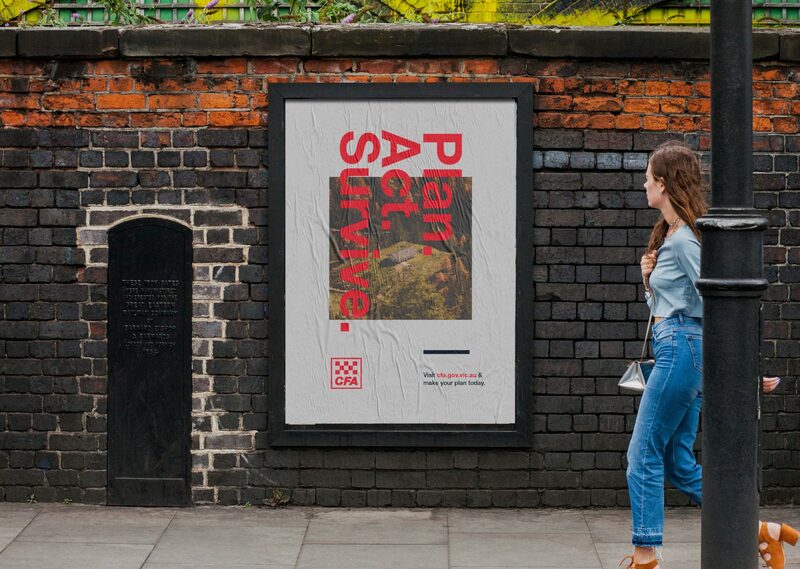 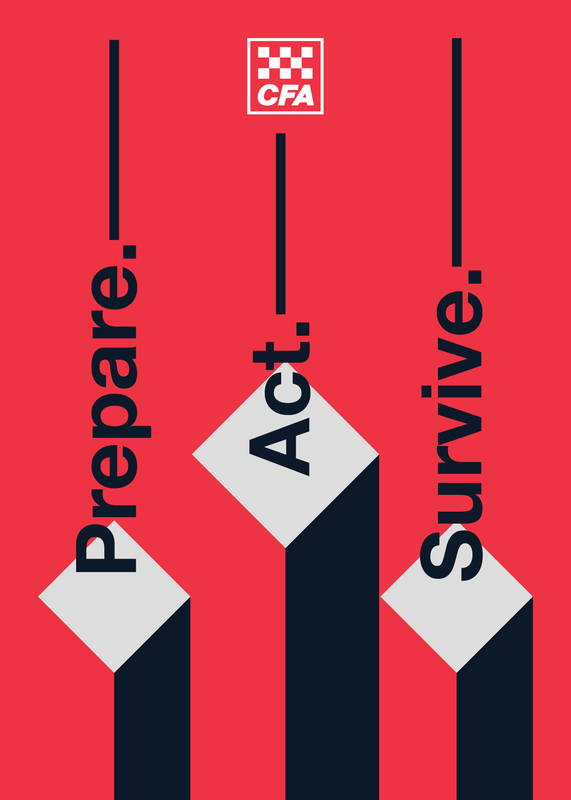 To communicate CFA’s new way of thinking, The Bureau created promotional posters. 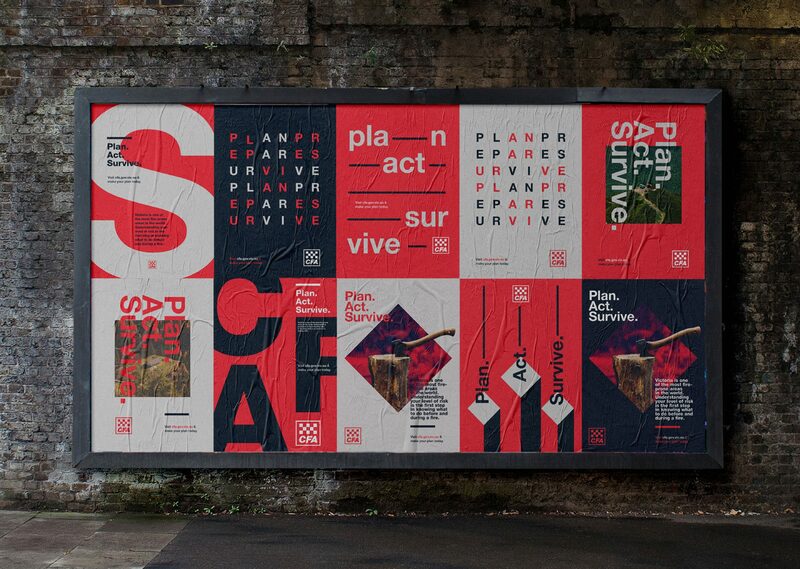 These posters were influenced by the International Typographic Style to command order through choas.